It was largely expected and anti-climactic, but Jason Kenney has led his United Conservative Party to form a majority government in Alberta, defeating the one-term New Democratic Party government of Rachel Notley. More than 260,000 “vote anywhere” advance ballots still need to be counted, but as of tonight the UCP appears to hold 64 seats with the NDP forming an opposition of 24 seats. There could be some change as those additional votes are counted in the next few days, but it is not expected the seat count will change dramatically. The UCP dominated rural Alberta and appear to have captured most of the seats in Calgary, climbing into majority territory about half-an-hour after the polls closed. The NDP won nearly every seat in Edmonton, plus the suburban city of St. Albert, a handful of districts in central and northeast Calgary, and Shannon Phillips’ seat in Lethbridge-West. As far as opposition caucuses go, this is fairly respectable for Alberta. Despite losing her party’s majority tonight, Notley promised in an energetic and upbeat election night speech that she intends to continue leading her party as Leader of the Official Opposition. 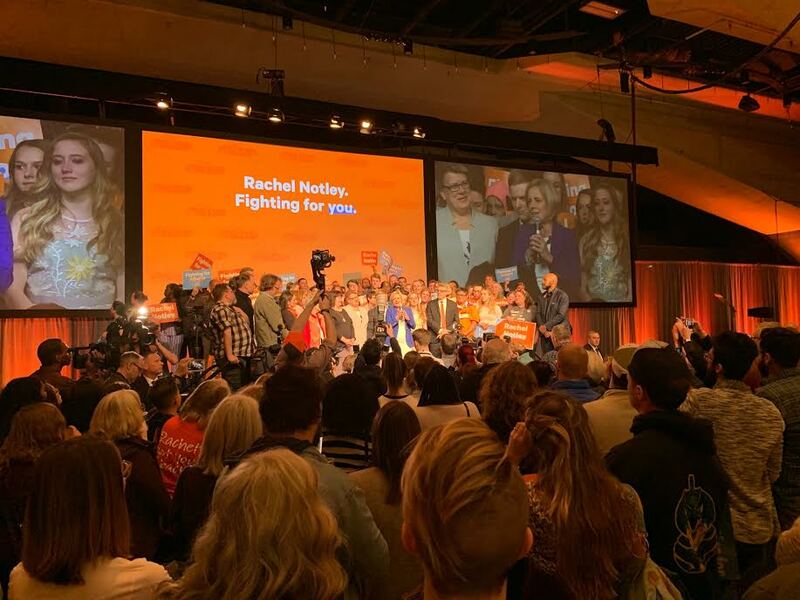 New Democrats were certainly disappointed in the election loss, but there was plenty of love for Rachel Notley at the Edmonton Convention Centre tonight. This is the first time since the 1993-1997 Legislative Assembly that only two parties will be represented in the Assembly. Alberta Party MLA Greg Clark was unsuccessful in his bid for re-election in Calgary-Elbow, and party leader Stephen Mandel fell short in Edmonton-McClung. Both Liberal Party leader David Khan and Freedom Conservative Party leader Derek Fildebrandt were defeated. I will have a lot more to comment on when all the advance ballots have been counted, the seat totals are settled, and the dust settles. Now, I need some rest. This entry was posted in Alberta Politics and tagged Alberta Election 2019, Alberta Liberal Party, Alberta NDP, Alberta Party, Calgary-Mountain View, Chestermere-Strathmore, David Khan, Derek Fildebrandt, Freedom Conservative Party, Greg Clark, Jason Kenney, Lethbridge-West, Rachel Notley, Shannon Phillips, Stephen Mandel, United Conservative Party on April 16, 2019 by Dave Cournoyer. Photo: Lethbridge NDP candidates Maria Fitzpatrick and Shannon Phillips, and UCP candidates Nathan Neudorf and Karri Flatla. Where the party leaders go during the first few days of the election campaign can sometimes give a good indication of where the parties are focusing their resources and what message they want to send to voters. Alberta New Democratic Party leader Rachel Notley announced the election call in central Calgary, where the NDP hope to create a battleground in this election. Today, Notley started the second day of the election in Edmonton and later travelled to Red Deer to campaign with MLAs Kim Schreiner and Barb Miller, She finished her day in Lethbridge to speak at the Canadian Union of Public Employees provincial convention and will be in the city tomorrow to support MLAs Shannon Phillips and Maria Fitzpatrick. United Conservative Party leader Jason Kenny started the campaign in Leduc, south of Edmonton, and kicked off his party’s campaign at the office of Edmonton-City Centre candidate Lily Le. The UCP are hoping to make gains in Edmonton in this election. 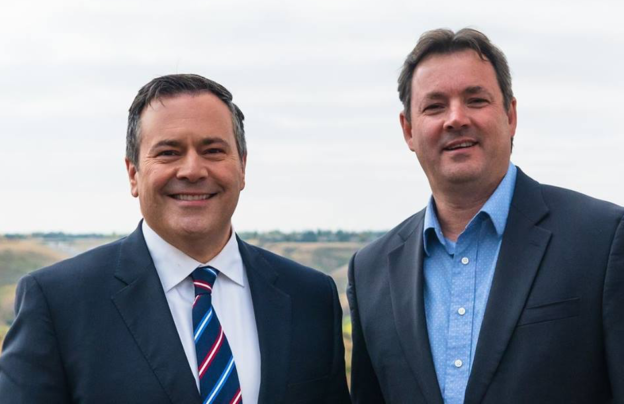 Today, Kenney also headed south to Lethbridge to support candidates Karri Flatla and Nathan Neudorf. Alberta Party leader Stephen Mandel spent the first two days of the election in Edmonton, where his party hopes to capitalize on his name-recognition as mayor of the city from 2004 to 2013. And Liberal Party leader David Khan was in Calgary, where he is expected to focus on his race in Calgary-Mountain View. 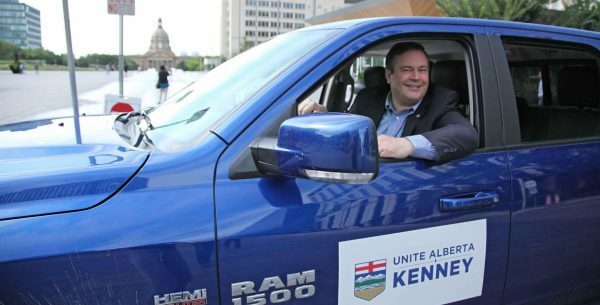 That both Notley and Kenney visited Lethbridge in the first few days of the election signifies how much both parties feel how important and competitive the city’s two districts could be in this election. Lethbridge’s electoral history is more liberal-leaning than most of the surrounding region in southern Alberta, likely due to the influence of the University of Lethbridge and Lethbridge College and a large number of public sector workers in the city. Even during Ralph Klein’s time as premier, the Liberals either won a plurality of the votes or match the PC vote in the city’s, mostly due to the large margins of victory earned by Lethbridge-East MLAs Ken Nicol and Bridget Pastoor. As the Liberal vote collapsed in 2012, Phillips came close to winning in Lethbridge-West in 2012,. The NDP swept both districts in 2015 with significant margins. As Minister of Environment and Parks, Shannon Phillips has been a key player in Notley’s cabinet and a strong advocate for the city in the Legislature. This makes Phillips a target for the UCP and the reason why Kenney travelled to Lethbridge to re-announce his plans to cancel climate change initiatives like the carbon tax. Here is a look at the voting history of the two Lethbridge districts over the past 26 years. The UCP announced that it has appointed Jeremy Wong as the UCP candidate in Calgary-Mountain View following the resignation of star candidate Caylan Ford earlier this week. Wong ran against Ford for the nomination in December 2018. He is a pastor with the Calgary Chinese Alliance Church and recently completed a Master of Public Administration at the University of Calgary. The UCP now have three candidate vacancies remaining, with nominating meetings scheduled to take place in Edmonton-Highlands-Norwood on March 21, Edmonton-Ellerslie on March 23, and Edmonton-Mill Woods on March 24. This entry was posted in Alberta Politics and tagged Alberta Election 2019, Alberta Independence Party, Alberta Liberal Party, Alberta NDP, Alberta Party, Barb Miller, Calgary-Mountain View, Caylan Ford, David Khan, Devon Hargreaves, Edmonton-City Centre, Edmonton-Ellerslie, Edmonton-Highlands-Norwood, Edmonton-Mill Woods, Jason Kenney, Jeremy Wong, John McCanna, Karri Flatla, Kim Schreiner, Lethbridge-East, Lethbridge-West, Lily Le, Maria Fitzpatrick, Nathan Neudorf, Pat Chizek, Rachel Notley, Ralph Klein, Red Deer-North, Red Deer-South, Shannon Phillips, Stephen Mandel, United Conservative Party, University of Lethbridge, Zac Rhodenizer on March 20, 2019 by Dave Cournoyer. MLA Thomas Dang was nominated as the New Democratic Party‘s candidate in the new Edmonton-South district. Dang was first elected as the MLA for Edmonton-South West in the 2015 election. Dang received a considerable amount of media attention in 2017 when he tabled the Alberta Standard Time Act, a private members’ bill which would have ended the observance of Daylight Savings Time in Alberta. While the idea was fairly popular among the public, strong pushback by Alberta’s two professional hockey teams and a major Alberta-based airline company are believed to be what stalled the bill before it could complete second reading in the Assembly. Dang will face United Conservative Party candidate Tunde Obasan and Alberta Party candidate Pramod Kumar in the next election. Shane Getson defeated Leah Wood to secure the UCP candidacy in the second nomination vote held by the main conservative party in Lac Ste. Anne-Parkland in less than six months. A previous nomination contest was held in August 2018 and resulted in a win for Onoway business owner Dale Johnson, who was later disqualified after it was reported that he was alleged to have paid $5,584.60 to an employee he fired with whom he was in a romantic relationship. Getson is a manager of a pipeline construction and maintenance company. He will face NDP MLA and Minister of Agriculture and Forestry Oneil Carlier and Alberta Party candidate Don McCargar. Medicine Hat NDP MLA Bob Wanner announced that he will not be seeking re-election when the next vote is called. Wanner, who was elected as Speaker of the Legislative Assembly in 2015, was first elected in 2015, earning 38 percent of the vote. He previously ran for the NDP in this district in the 1993 election. The current Medicine Hat district faces a significant redistribution in the next election and has been redrawn into the new Brooks-Medicine Hat and Cypress-Medicine Hat districts. Former local Progressive Conservative association president RJ Sigurdson secured the UCP nomination in Highwood in October 2018, but his win is now being challenged by two unsuccessful candidates. Okotoks town councillor Carrie Fischer, who was the PC Party candidate in the 2015 election, filed a complain with the UCP, and Wayne Anderson, the current UCP MLA who was elected as a Wildrose Party candidate in 2015, have filed a complaint with Elections Alberta, questioning the validity of the nomination process. Freedom Conservative Party MLA and leader Derek Fildebrandt was nominated as his party’s candidate in the Chestermere-Strathmore district. Fildebrandt was first elected as a Wildrose MLA in 2015 and is now expected to face his former caucus colleague Leela Aheer in the next election. With Christmas less than one week away, nominations appear to have ended for 2018, but the first few months of 2019 are expected to included a flurry of nomination activity. The UCP have eight remaining districts in which to nominate candidates and the NDP have already scheduled nomination contests in January in Airdrie-Cochrane, Maskwaskis-Wetaskiwin, Morinville-St. Albert, Sherwood Park, and Spruce Grove-Stony Plain. Calgary-Bow – Paul Godard defeated Frank Penkala to secure the Alberta Party nomination in this northwest Calgary district. Calgary-North East – Gurbachan Brar defeated Roop Rai to secure the NDP nomination in this district. Brar is the former President of the Punjabi Likhari Sabha and is a former Broadcaster at RED FM 106.7. Camrose – Morgan Bamford is seeking the NDP nomination in this central Alberta district. Bamford is the Acting Supervisor of Indigenous Relations with the City of Edmonton and is the co-founder of Bamford & Henbest Research and Consulting Partners Ltd. He is vice-president of the board of directors of Volunteer Alberta. Drayton Valley-Devon – Ronald Brochu is seeking the Liberal Party nomination. Brochu was the Liberal Party candidate in Edmonton-Gold Bar in the 2015 election, earning 3.1 percent of the vote. Edmonton-Castle Downs – MLA Nicole Goehring is seeking the NDP nomination for re-election in this north Edmonton district. Goehring was first elected in 2015, earning 64.5 percent of the vote. Goehring’s main challenger in the next election is expected to be Ed Ammar, a UCP activist who ran for the Liberal Party in Edmonton-Decore in the 2012 election. Edmonton-North West – Brandon Teixeira has been nominated as the Liberal Party candidate in this district. Edmonton-West Henday – Leah McRorie has been nominated as the Liberal Party candidate in this west Edmonton district. McRorie is a certified facilitator with the Alberta Caregivers Association. Leduc-Beaumont – Coreina Hubert’s candidacy for the Alberta Party nomination is listed by Elections Alberta as not having been accepted by the party or constituency association. Hubert is the third candidacy to depart the Alberta Party nomination contest in this district, leaving Robb Connolly as the sole candidate. Connolly previously attempted to seek the Alberta Party nomination in the neighbouring Strathcona-Sherwood Park. Lethbridge-East – Nathan Neudorf has re-entered the UCP nomination contest in this district. 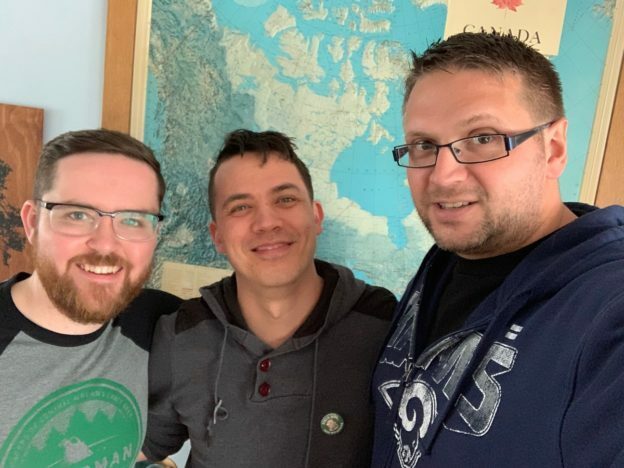 He previously dropped out of this contest to run for the UCP nomination in the Livingstone-Macleod district located west of Lethbridge, but was unsuccessful in that contest. Lethbridge-West – Patricia Chizek is seeking the Liberal Party nomination. Morinville-St. Albert – Cass Romyn is seeking the Green Party nomination in this district north of Edmonton. This entry was posted in Alberta Politics and tagged Airdrie-Cochrane, Alberta Election 2019, Alberta Election Candidate Nominations, Alberta Liberal Party, Alberta NDP, Alberta Party, Alberta Standard Time Act, Bob Wanner, Brandon Teixeira, Brooks-Medicine Hat, Calgary-Bow, Calgary-North East, Camrose, Carrie Fischer, Cass Romyn, Chestermere-Strathmore, Coreina Hubert, Cypress-Medicine Hat, Dale Johnson, Derek Fildebrandt, Don McCargar, Drayton Valley-Devon, Ed Ammar, Edmonton-Castle Downs, Edmonton-Gold Bar, Edmonton-North West, Edmonton-South, Edmonton-West Henday, Frank Penkala, Gurbachan Brar, Highwood, Lac Ste. Anne-Parkland, Leah McRorie, Leah Wood, Leduc-Beaumont, Leela Aheer, Lethbridge-East, Lethbridge-West, Livingstone-Macleod, Maskwaskis-Wetaskiwin, Medicine Hat, Morgan Bamford, Morinville-St. Albert, Nathan Neudorf, Nicole Goehring, Oneli Carlier, Patricia Chizek, Paul Godard, Pramod Kumar, RJ Sigurdson, Robb Connolly, Ronald Brochu, Roop Rai, Shane Getson, Sherwood Park, Spruce Grove-Stony Plain, Strathcona-Sherwood Park, Thomas Dang, Tunde Obasan, United Conservative Party, Wayne Anderson, Wildrose Party on December 18, 2018 by Dave Cournoyer. MLA Marie Renaud defeated MLA Trevor Horne to secure the New Democratic Party candidacy in St. Albert at a nomination meeting held tonight. This was the NDP’s first contested nomination race of the pre-election season. Both MLAs, who were elected in 2015, saw their electoral districts significantly redrawn ahead of the next election. Horne’s district, Spruce Grove-St. Albert, was divided into the new Spruce Grove-Stony Plain, Lac Ste. Anne-Parkland, and St. Albert districts. 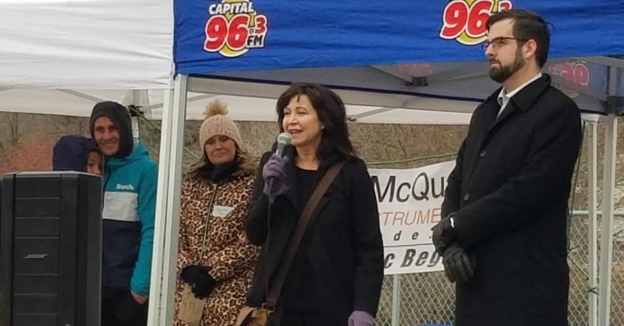 Renaud is a well-known advocate for persons with developmental disabilities, and worked for almost 15 years as the executive director of Lo-Se-Ca Foundation before her election in 2015. 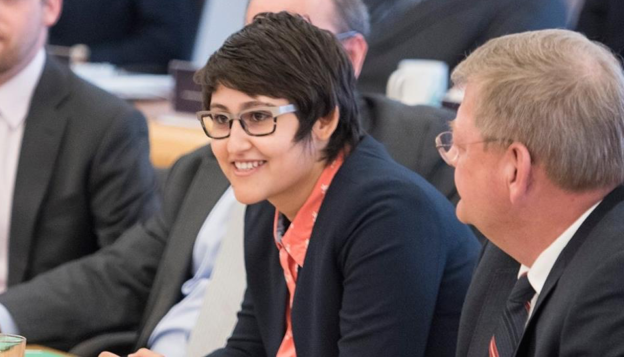 She was elected in 2015 with 53 percent of the vote, unseating PC MLA Stephen Khan, who earned 28 percent. This was the first time two NDP MLAs faced each other in a nomination contest in more than 25 years. Ahead of the 1993 election, Edmonton-Kingsway MLA Alex McEachern and Edmonton-Jasper Place MLA John McInnis both sought the NDP nomination in the newly redrawn Edmonton-Mayfield district. McEachern won the nomination contest and McInnis ended up running in another district across the city. St. Albert is a bedroom community northwest of Edmonton and this district has a history as a competitive elections, with voters electing New Democrat MLAs in 1986 and 2015, PC MLAs in 1989, 1997, 2001, 2008 and 2012, and Liberal MLAs in 1993 and 2004. Real Estate Agent Karri Flatla defeated Richard Dempsey and George Rigaux to secure the UCP nomination in Lethbridge-West. The district is currently represented by NDP MLA Shannon Phillips, who has served as Alberta’s Minister of Environment and Parks since 2015. Despite four candidates already actively campaigning for the UCP nomination in Red Deer-South, the UCP announced last week that they are delaying the selection meeting until 2019 in order to give time for a “high profile individual” run join the contest. This mystery individual has not yet revealed themselves, but it has been rumoured for months that the UCP has been trying to recruit Red Deer Mayor Tara Veer to run in the next election. Veer has served as mayor of Alberta’s third largest city since 2013. Edmonton-North West – Brandon Teixeira is seeking the Liberal Party nomination. Edmonton-South West – Former CBC reporter and current ministerial press secretary John Archer is seeking the NDP nomination. Maskwacis-Wetaskiwin – The NDP have scheduled a nomination meeting in this district on January 8, 2019. Spruce Grove-Stony Plain: MLA Erin Babcock is seeking the NDP nomination in this district west of Edmonton. Babcock was first elected as MLA for Stony Plain in 2015, earning 38 percent of the vote and unseating PC MLA Ken Lemke. Spruce Grove City Councillor Searle Turton won the UCP nomination contest in this district last week. This entry was posted in Alberta Politics and tagged Alberta Election 2019, Alberta Election Candidate Nominations, Alex McEachern, Brandon Teixeira, Edmonton-Jasper Place, Edmonton-Kingsway, Edmonton-North West, Edmonton-South West, Erin Babcock, George Rigaux, John Archer, John McInnis, Karri Flatla, Ken Lemke, Lac Ste. Anne-Parkland, Lethbridge-West, Marie Renaud, Maskwacis-Wetaskiwin, Red Deer-South, Richard Dempsey, Searle Turton, Shannon Phillips, Spruce Grove-St. Albert, Spruce Grove-Stony Plain, St. Albert, Stephen Khan, Stony Plain, Tara Veer, Trevor Horne on December 13, 2018 by Dave Cournoyer. Caylan Ford wins UCP nomination in Calgary-Mountain View. Calgary-East UCP nomination blows-up with allegations of fraud, forgery and bribery. Former Global Affairs Canada senior policy advisor Caylan Ford defeated Becca Polak and Jeremy Wong to win the United Conservative Party nomination in Calgary-Mountain View. This nomination contest was contentious, with questions about the eligibility of Ford and former MLA Mark Hlady in the contest. Ford’s candidacy was ultimately accepted and Hlady, who represented his district as a Progressive Conservative MLA from 1993 to 2004 and as the PC Party candidate in 2015, was not approved by the UCP to run. Liberal Party MLA David Swann has represented this district since 2004 and announced he will not seek re-election when the next provincial election is called. 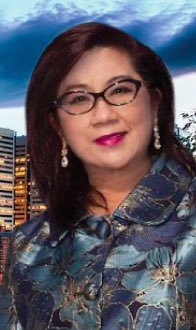 With Swann out of the race, Justice Minister Kathleen Ganley, who currently represents Calgary-Buffalo as a New Democratic Party MLA, is seeking re-election in this neighbouring district (where she lives). Also running is Swann’s successor in the Liberal Party leadership, David Khan, who ran against Ganley in Calgary-Buffalo in the 2015 election, and Green Party candidate Thana Boonlert. Defeated UCP nomination contestants in Calgary-East have levelled allegations of fraud, forgery, improper inducement and bribery in the race won by Peter Singh on November 3, 2018. A letter signed by Andre Chabot, Jamie Lall, Issa Moussa and Matthew Dirk sent to UCP Leader Jason Kenney and deputy leader Leela Aheer have asked for the results of the contest to be overturned. Singh is the past president of the Fiji Canada Association of Calgary and he ran for the PC nomination in Calgary-Fort ahead of the 2015 election. The district is currently represented by Independent MLA Robyn Luff, who was first elected in 2015 and was removed from the NDP caucus in November 2018. 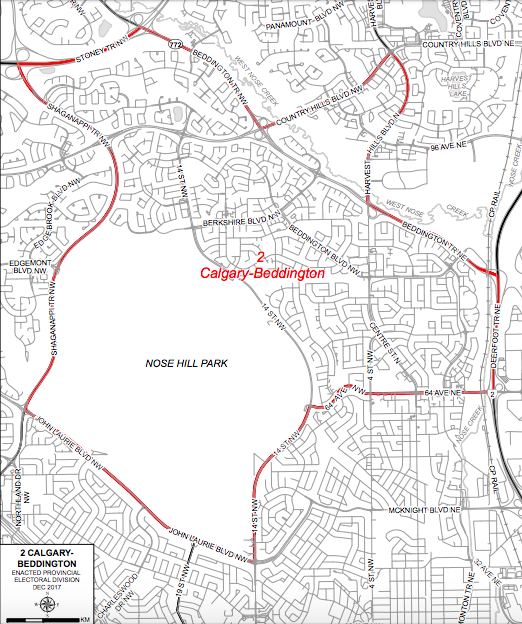 Calgary-Falconridge – Parmeet Singh was nominated as the NDP candidate in this northeast Calgary district. Edmonton-South West – Kaycee Madu defeated Kevin Greco and former PC MLA Sohail Quadri to secure the UCP nomination on December 6, 2018. Livingstone-Macleod – Roger Reid defeated Nathan Neudorf and Thomas Schneider to win the UCP nomination on December 8, 2018. Reid is the owner of Tim Hortons franchises in Nanton and Claresholm. He is the second Tim Horton’s franchaise owner to win a UCP nomination, along with Grande Prairie UCP candidate Tracy Allard. Sherwood Park – Jordan Walker defeated Maureen Gough, Sean Kenny, and Len Thom to secure the UCP nomination in Sherwood Park. Walker is a conservative party activist and an Assessment Consultant in the Alberta Department of Labour. 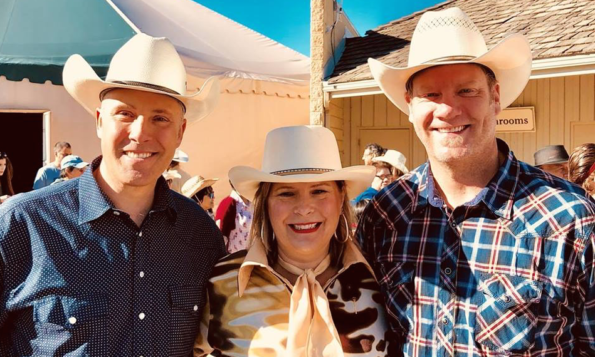 December 12, 2018 – Richard Dempsey, Karri Flatla, and George Rigaux are seeking the UCP nomination in Lethbridge-West. 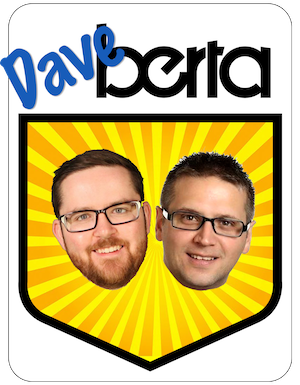 December 12, 2018 – Two NDP MLAs are challenging each other for their party’s nomination in the newly redrawn St. Albert district. Current Spruce Grove-St. Albert MLA Trevor Horne and current St. Albert MLA Marie Renaud are seeking the NDP candidacy. Both MLAs were first elected in 2015. Renaud has been endorsed by eleven of her caucus colleagues, including Stony Plain MLA Erin Babcock, Calgary-Hawkwood MLA Michael Connolly, Calgary-Klein MLA Craig Coolahan, Calgary-Bow MLA Deborah Drever, Lethbridge-East MLA Maria Fitzpatrick, Edmonton-Castle Downs MLA Nicole Goehring, Edmonton-Ellerslie MLA Rod Loyola, Sherwood Park MLA Annie McKitrick, Athabasca-Sturgeon-Redwater MLA Colin Piquette, Edmonton-Centre MLA David Shepherd, and Edmonton-Whitemud MLA Bob Turner. 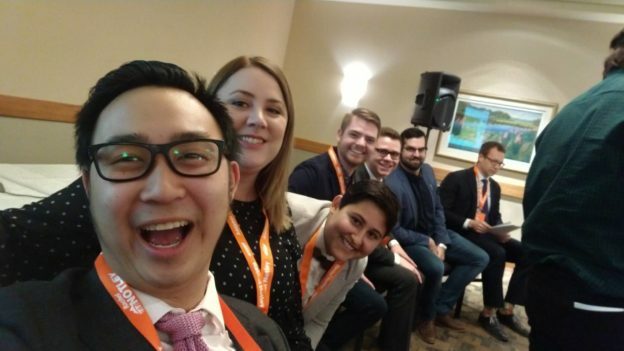 December 13, 2018 – NDP MLA Thomas Dang is expected to be nominated as his party’s candidate in Edmonton-South. Dang was first elected in 2015 in Edmonton-South West, where he earned 53 percent of the vote and unseated PC MLA Matt Jeneroux. December 15, 2018 – Manwar Khan and Keli Tamaklo are seeking the Alberta Party nomination in Edmonton-Manning. Tamaklo is a former member of Edmonton Police Commission, Vice-Chair of the Africa Centre, and former Chief Administrative Officer for the Town of High Prairie. Khan is a Business Coordinator in the provincial Department of Community and Social Services and founded Do Not Be a Bystander, after witnessing and attempting to intervene to prevent a murder on Edmonton’s LRT. December 15, 2018 – “Mulligan!” Shane Getson and Leah Wood are facing off in the second UCP nomination contest in Lac Ste. Anne-Parkland. A previous nomination contest held in August 2018 resulted in a win for Onoway business owner Dale Johnson, who was later disqualified after the UCP discovered he was alleged to have paid $5,584.60 to an employee he fired with whom he was in a romantic relationship. A former member of the UCP interim board of directors, Wood was widely seen as the establishment favourite in the first contest and is in a similar position in this second nomination contest. December 16, 2018 – Gurbachan Brar and Roop Rai are seeking the NDP nomination in Calgary-North East. Brar is the former President of the Punjabi Likhari Sabha and is a former Broadcaster at RED FM 106.7. Rai is a constituency assistant to Calgary-McCall NDP MLA Irfan Sabir and was her party’s candidate in the 2016 by-election in Calgary-Greenway. In that contest she earned 20.17 percent of the vote in a competitive four-way race that saw PC candidate Prab Gill win with 27.7 percent. This entry was posted in Alberta Politics and tagged Alberta Election 2019, Alberta Election Candidate Nominations, Alberta Liberal Party, Alberta NDP, Alberta Party, Andre Chabot, Annie McKitrick, Athabasca-Sturgeon-Redwater, Becca Polak, Bob Turner, Calgary-Bow, Calgary-Buffalo, Calgary-East, Calgary-Falconridge, Calgary-Greenway, Calgary-Hawkwood, Calgary-Klein, Calgary-McCall, Calgary-Mountain View, Calgary-North East, Caylan Ford, Colin Piquette, Craig Coolahan, Dale Johnson, David Khan, David Shepherd, David Swann, Deborah Drever, Edmonton-Castle Downs, Edmonton-Centre, Edmonton-Ellerslie, Edmonton-Manning, Edmonton-South, Edmonton-South West, Edmonton-Whitemud, Erin Babcock, George Rigaux, Grande Prairie, Gurbachan Brar, Irfan Sabir, Issa Moussa, Jamie Lall, Jason Kenney, Jeremy Wong, Jordan Walker, Karri Flatla, Kathleen Ganley, Kaycee Madu, Keli Tamaklo, Kevin Greco, Lac Ste. Anne-Parkland, Leah Wood, Leela Aheer, Len Thom, Lethbridge-West, Livingstone-Macleod, Manwar Khan, Maria Fitzpatrick, Marie Renaud, Mark Hlady, Matt Jeneroux, Matthew Dirk, Maureen Gough, Michael Connolly, Nathan Neudorf, Nicole Goehring, Parmeet Singh, Peter Singh, Prab Gill, Richard Dempsey, Robyn Luff, Rod Loyola, Roger Reid, Roop Rai, Sean Kenny, Shane Getson, Sherwood Park, Sohail Quadric, Spruce Grove-St. Albert, St. Albert, Stony Plain, Strathcona Country maximum municipal sovereignty, Thana Boonlert, Thomas Dang, Thomas Schneider, Tracy Allard, Trevor Horne, United Conservative Party on December 9, 2018 by Dave Cournoyer. The last provincial General Election was held 3 years, 7 months, 2 days ago on May 5, 2015. According to Section 38.1(2) of the Elections Act, a general election should be held between March 1 and May 31, and in the same three-month period in the fourth calendar year thereafter. This means that the next general election will likely be held between March 1 and May 31, 2019. This fixed election period was introduced in the Election Amendment Act passed on December 6, 2011. Election campaign periods in Alberta last 28 days. Section 39 (d) of the Election Act states: “the 28th day after the date of the writ is the day on which voting is to take place, or if the 28th day is a holiday, the next following day not being a holiday.” There are a number of statutory and religious holidays that fall in this fixed election period when an election day would not be held: Good Friday is April 19, Easter Monday is April 22, and Victoria Day is May 20. In accordance with our parliamentary system of government, the Elections Act also states that nothing in the law “affects the powers of the Lieutenant Governor, including the power to dissolve the Legislature, in Her Majesty’s name, when the Lieutenant Governor sees fit.” This means that Lieutenant Governor Lois Mitchell could issue a writ of election and dissolve the Legislative Assembly whenever she is asked to do so by Premier Rachel Notley. It would be highly irregular for a Lieutenant Governor to deny a Premier’s wish to issue a writ of election. There are a number of factors that could impact when exactly the election is called. One major indicator of a party’s readiness for an election is the number of candidates they have nominated. As of today, the New Democratic Party has nominated 31 candidates in 87 districts, meaning that party will need to nominate a majority of its candidates in the first few months of 2019 in order to be prepared for a spring election. The United Conservative Party currently has nominated 74 candidates in 87 districts and will have almost an entire slate of candidates nominated by the end of 2018. 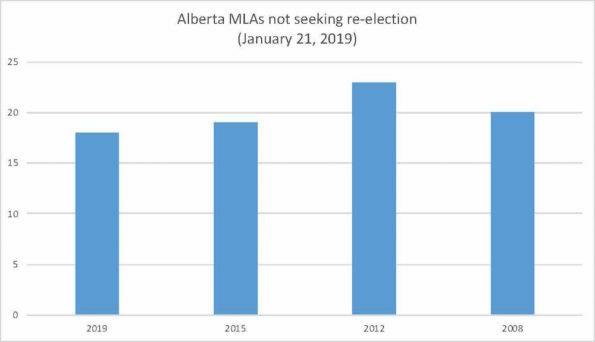 Whether the NDP will recall the Legislative Assembly in the spring of 2019 to present a Throne Speech and introduce a budget before calling an election is unknown at this point. The recent session of the Assembly, which ended on Thursday, December 6, 2018, is widely considered to be the last session in which a serious legislative agenda would be implemented. But it is not uncommon for governments to call an election immediately after tabling or passing a budget, and then using that budget as a de-facto campaign platform. In 2015, Premier Jim Prentice called an election twelve days after a 16 days session which ended with the tabling of a provincial budget. And Premier Alison Redford called the election five days after the MLAs voted to approve that year’s provincial budget. Tabling a provincial budget before calling an election could be a double-edge sword for the NDP in 2019. Using a budget as its re-election platform would allow the Notley government to highlight its continued investments in health care, education, and public transportation like Calgary’s Green Line and Edmonton’s west LRT expansion, and contrast its plan with the expected slash and burn budgets that would be introduced under a UCP government led by Jason Kenney. But unless there is a big change in Alberta’s economic situation (and the international price of oil), any budget presented by the NDP in 2019 would likely have a significant deficit. While both the NDP and UCP have said they would plan to run budget deficits for the next few years, it would draw unwanted attention to an issue that is not seen as the NDP’s strength. But whether or not a budget is tabled before the election, Finance Minister Joe Ceci is still required by the Fiscal Planning and Transparency Act to publicly release a Fiscal Update and Economic Statement on or before February 28, 2019. Elections Alberta will release the first quarter financial disclosures of fundraising by Alberta’s political parties in mid-April 2019. And if the UCP continues dominating in the fundraising field, the NDP may want to avoid a round of news coverage about how they have been out-fundraised by its main conservative opponent. A shrewd calculation related to when the election is held could be related to when voters of certain demographics are likely to be in Alberta and have easy access of voting stations. Calling an early election could limit the ability of vacationing snowbirds to cast their ballots in the election. Polls have suggested that the UCP has a considerable lead over the NDP among voters over the age of 65. On the other end of the demographic spectrum, calling an early election in 2019 would ensure that university and college campuses are in session when the election is held. Polls suggest that the NDP have stronger support among younger and university educated voters. 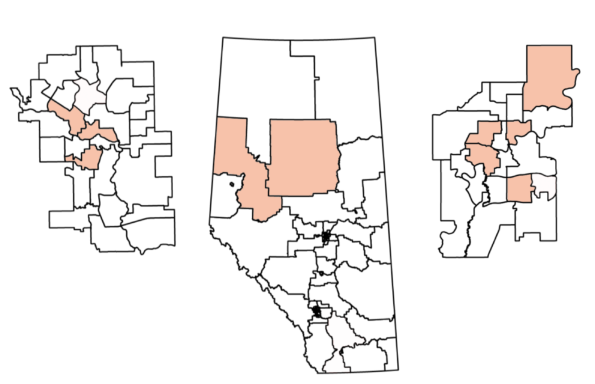 Mobilizing the student vote could make a difference in a number of electoral districts currently represented by the NDP, including Calgary-Currie, Calgary-Mountain View, Calgary-Varsity, Edmonton-Centre, Edmonton-Riverview, and Lethbridge-West. Delay the election to late 2019 or early 2020? 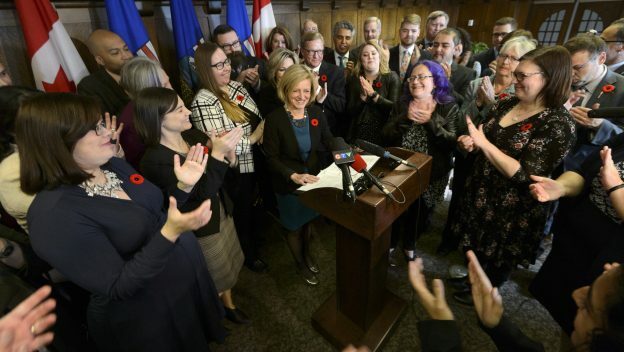 Notley said publicly in 2017 that she intends to follow both the spirit and letter of Alberta’s fixed-election-date legislation. But as we all know, circumstances sometimes change in politics. There might be a backlash of public opinion, like the Progressive Conservative government faced when it called an election one year early in 2015, but the NDP do have the ability to wait until Spring 2020 to call the next provincial election. Alberta’s Election Act fixes the period to every four years, but the Charter of Rights and Freedoms says otherwise. The decision to delay the next general election beyond Spring 2019 could have drastic electoral consequences for the NDP, but if the party already sees its chances of re-election as slim, as most polls suggest, it might be convinced to take the gamble. Waiting until late 2019 or early 2020 could mean the election could be held after the start of construction of the Trans Mountain Pipeline expansion and as the economy continues to recover from the drop in the international price of oil in 2014. Delaying until 2020 would also give Notley an opportunity to campaign against Prime Minister Justin Trudeau in the expected October 2019 federal election. This would give Notley an opportunity to create some distance between herself and Trudeau, who had allies on the climate change file before their political relationship broke down over the Trans Mountain Pipeline expansion delays. Delaying the election would have unclear consequences for Third Party Election Advertisers. The Election Finances and Contributions Disclosure Act currently states these groups, commonly known as Political Action Committees, are limited to spending $150,000 province-wide on election-related advertising between December 1 in the year before an election and election day. This legislation was passed under the assumption that the fixed-election period would be honoured. If the election is delayed until past spring 2019 and the post-December 1 limits continue to be implemented, the ability of PACs to advertise during the election would be severely limited. Today on 630CHED I joined Ryan Jespersen, Catherine Griwkowsky, and John Brennan to talk about the latest news in Alberta politics, including when the next election might be held. This entry was posted in Alberta Politics and tagged 630CHED, Alberta Election 2019, Alberta NDP, Alison Redford, Calgary-Currie, Calgary-Mountain View, Calgary-Varsity, Catherine Griwkowsky, Charter of Rights and Freedoms, Edmonton-Centre, Edmonton-Riverview, Election Finances and Contributions Disclosure Act, Elections Act, Elections Alberta, Fiscal Planning and Transparency Act, Jason Kenney, Jim Prentice, Joe Ceci, John Brennan, Justin Trudeau, Lethbridge-West, Lois Mitchell, Rachel Notley, Ryan Jespersen, Trans Mountain Pipeline Project, United Conservative Party on December 8, 2018 by Dave Cournoyer. 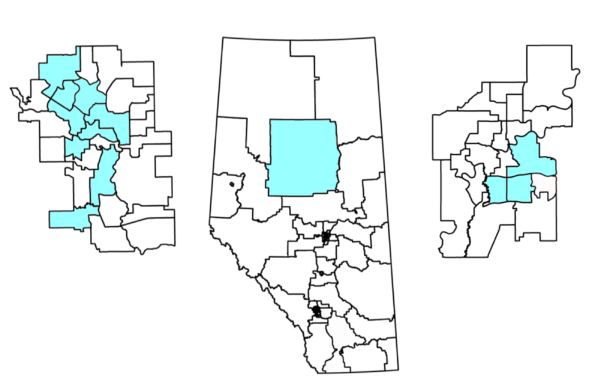 Maps: Where are women nominated to run in Alberta’s election? I am excited to collaborate with ParityYeg to help them with a live dashboard tracking how many women are being nominated as candidates to run in Alberta’s next provincial general election. The leaders of the three main political parties have expressed their intent to recruit and nominate more women to run as candidates in the next provincial election. Earlier today I posted maps showing where each of Alberta’s major political parties have nominated candidates. 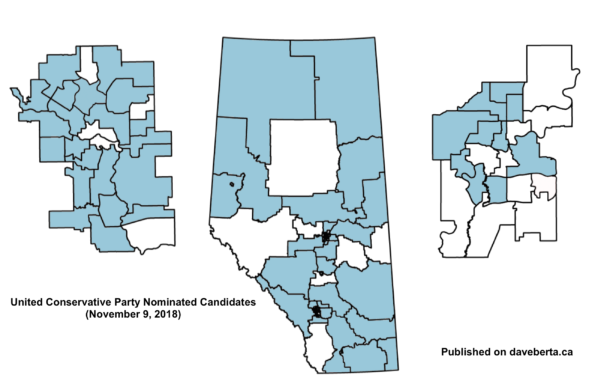 The maps in this post show where the NDP, UCP and Alberta Party have nominated women candidates, as of November 9, 2018. As noted in my previous post, I realize that these maps do not clearly show the electoral districts in Lethbridge, Grande Prairie, Red Deer and the Edmonton area. I hope to have updated maps with those communities included in the near future. In the districts missing from these maps, the New Democratic Party has nominated Maria Fitzpatrick in Lethbridge-East, Shannon Phillips in Lethbridge-West, and Barb Miller in Red Deer-South, the Alberta Party has nominated Ryan Mcdougal in Red Deer-South, and the United Conservative Party has nominated Tracy Allard in Grande Prairie Adriana LaGrange in Red Deer-North. Note: I am a little embarrassed to admit that I forgot to shade-in Calgary-North West for the UCP, where Sonya Savage is nominated to run. I will fix this in my next map update. This entry was posted in Alberta Politics and tagged Adriana LaGrange, Alberta Election 2019, Alberta Election Candidate Nominations, Alberta Liberal Party, Alberta NDP, Alberta Party, Barb Miller, Calgary-North West, Grande Prairie, Green Party of Alberta, Lethbridge-East, Lethbridge-West, Maria Fitzpatrick, ParityYeg, Red Deer-North, Red Deer-South, Ryan Mcdougal, Shannon Phillips, Sonya Savage, Tracy Allard, United Conservative Party, Women Election Candidates, Women in Alberta Politics on November 9, 2018 by Dave Cournoyer. 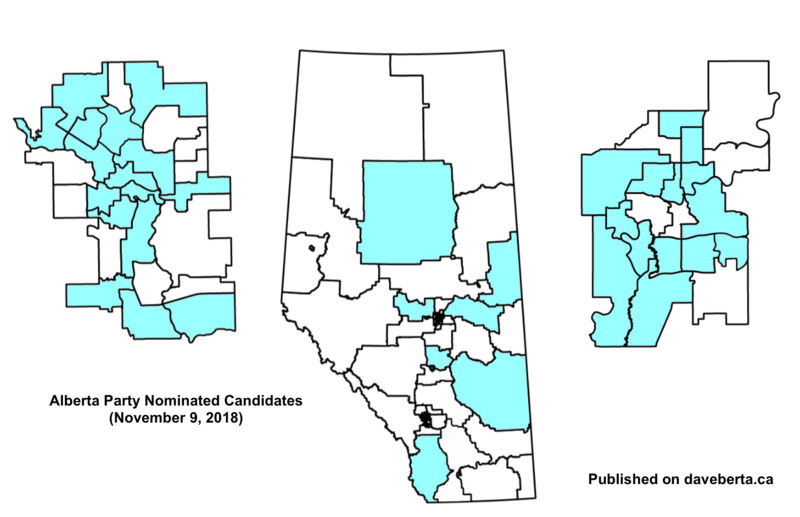 Maps: Where are Alberta election candidates nominated? I realize that these maps are missing some electoral districts in Lethbridge, Grande Prairie, Red Deer and the Edmonton area, so I hope to have updated maps with those communities included in the near future. In the districts missing from these maps, the New Democratic Party has nominated Maria Fitzpatrick in Lethbridge-East, Shannon Phillips in Lethbridge-West, and Barb Miller in Red Deer-South, the Alberta Party has nominated Paul Hardy in Red Deer-North, Ryan Mcdougal in Red Deer-South, and the United Conservative Party has nominated Tracy Allard in Grande Prairie Adriana LaGrange in Red Deer-North. Note: I realize that forgot to shade-in Edmonton-McClung for the NDP, where Lorne Dach is nominated to run for re-election. I will fix this in my next map update. This entry was posted in Alberta Politics and tagged Adriana LaGrange, Alberta Election 2019, Alberta Election Candidate Nominations, Alberta NDP, Alberta Party, Barb Miller, Edmonton-McClung, Grande Prairie, Lethbridge-East, Lethbridge-West, Lorne Dach, Maria Fitzpatrick, Paul Hardy, Red Deer-North, Red Deer-South, Ryan Mcdougal, Shannon Phillips, Tracy Allard, United Conservative Party on November 9, 2018 by Dave Cournoyer.